Программа для редактирования документов формата PDF. Более легкий, быстрый и многофункциональный аналог программы Adobe Reader обладает всеми возможностями для просмотра PDF документов. С помощью PDF-XChange Editor можно смотреть и печатать PDF документы, экспортировать из них текст и графику, создавать всплывающие подсказки, добавлять комментарии, делать пометки и многое другое. PDF-XChange Editor - The smallest, fastest, most feature-rich FREE PDF editor/viewer available! PDF-XChange Editor can be used to create PDF files from scanned documents, images, text files, Markdown files and much more. This software can also be used to convert Microsoft Office documents – a feature that many PDF applications do not offer. There are over thirty tools available to assist in the creation of document comments, annotations and links. These tools make editing PDFs a finely-tuned, precise process that produces documentation and image files of the highest quality. Our user-friendly functionality is diverse enough to meet the needs of all practitioners from novices to professionals. 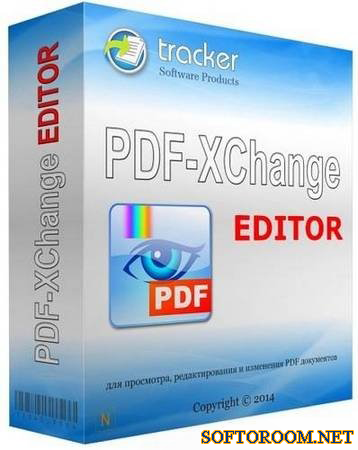 Tracker Software is proud to announce that version seven of PDF-XChange Editor was released on 01/12/2017. The latest build includes a dynamic and fully-customizable Ribbon UI, autosave/autorecover options, a wide range of new editing features, MRC (Mixed Raster Content) support, new compression and OCR features, two new form options, expanded Snapshot and Select Text Tools, development of date macros and support of TWAIN 32-bit scanners in 64-bit environments. Please see below for an extensive list of all available features and functionality. Добавлены русский и украинский OCR-модули.